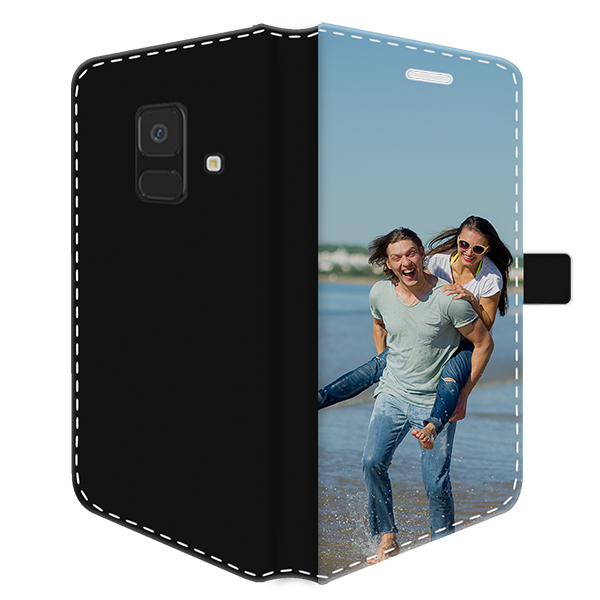 A unique custom phone case for your Samsung Galaxy A6 2018. This custom Galaxy A6 (2018) case is perfect for protecting your phone and giving it a stylish look. Make your own custom Samsung Galaxy A6 (2018) case and you can have all of your most valuable items kept safe in one product. Do you ever get frustrated looking for all of your personal items wondering where you placed them? We know the feeling of having to dig in your purse or having to check your coat and pants pocket. A custom Samsung Galaxy A6 (2018) case with slips for your most important bank cards will take care of this issue for you. Leave the days behind losing your cards and have everything in one place in your new personalized A6 (2018) case. This custom phone case also gives great protection to your most valuable possession. Don't let your nice phone get ruined and protect it from bumps and scratches! 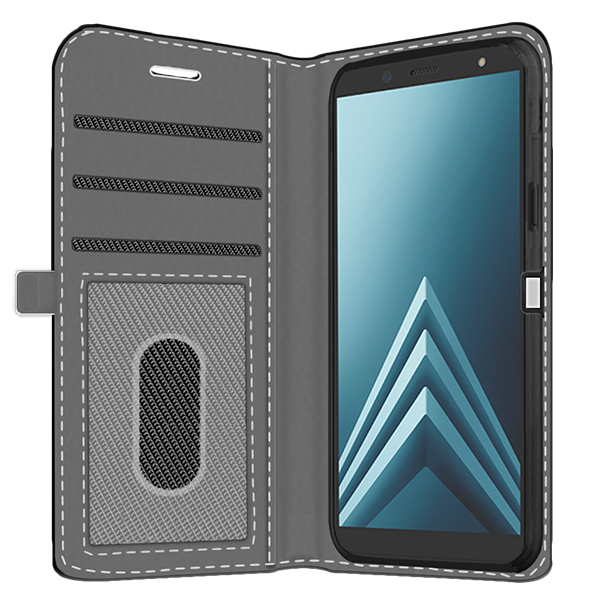 We have made the process of designing your personalized A6 (2018) case super easy with our customizer. First, you can choose an image or the design you would like to use. Make sure you upload an image with a high resolution for the best results. You can resize and rotate the image to make sure it fits. You can also choose from our collection of designs or upload your own design. Then add any texts or emojis to give it the perfect touch. Once you are finished, click the preview button to ensure it is exactly what you want. Then you leave the rest of the creating of your custom Samsung Galaxy A6 (2018) case to our production team! 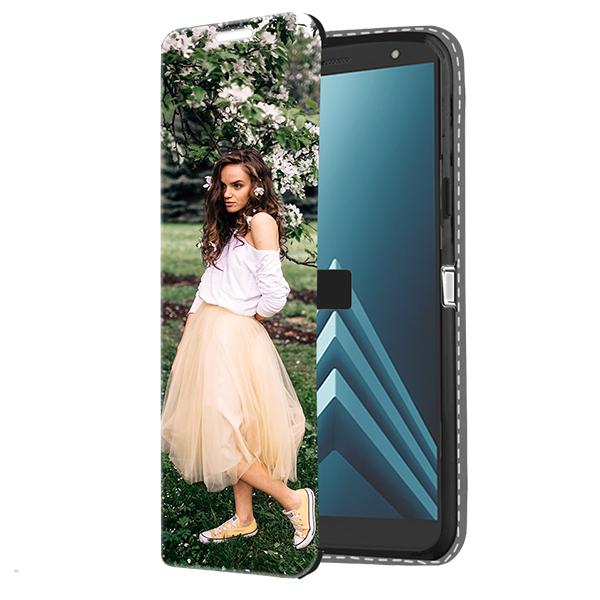 What is next after you have created your custom Galaxy A6 (2018) case? 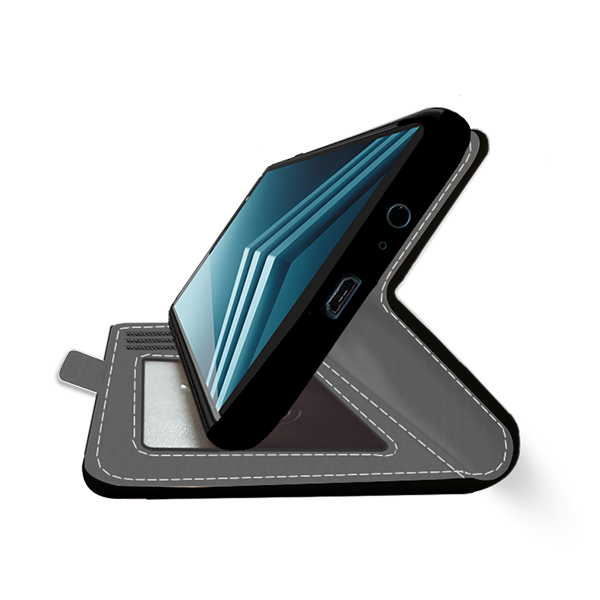 Once you have perfected your custom phone case, you are ready to check out. Please double check your shipping address to ensure your phone case will be delivered to the correct address. As soon as you have placed your purchase, we will be working hard to ensure your design is printed in the highest quality with our scratch-resistant ink. Our production team will then double check for any imperfections to ensure your custom Samsung Galaxy A6 (2018) case is perfect. Finally, we will package your custom phone case and it will be on its way to you!